Are you ready to welcome the Chinese New Year? The Year of the Dog is said to bring good luck if you follow certain belief based on your spirit animal (shio). Whatever your luck may be, every Chinese in the world is welcoming the red and gold fanfare with joy. The Chinese New Year celebration will hit the spotlight on 16th February 2018. The New Year is known in Indonesia as 'Imlek'. The festival was banned during the President Soeharto era, but since the post-reform era in 2001, it has always been celebrated joyfully in various cities and towns across the archipelago. One of the best places to experience the exceptional ambience of this celebration is Semarang, the capital city of Central Java. 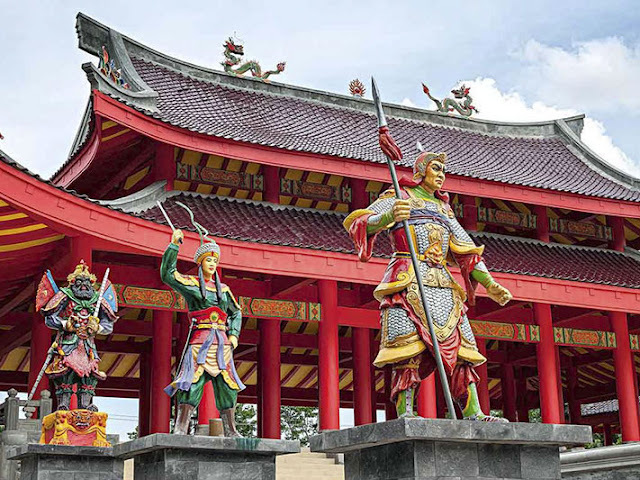 Semarang is where Chinese Imperial Emissary Admiral Zheng He (also known as Cheng Ho) first set foot on Java. Thus, Chinese culture has rooted deeply here and even fused well with local culture and traditions. Some of that traditions are still practiced to this very day. Aside from the culture and traditions, Chinese predecessors also left some of their legacies in various beautiful heritage sites that adds to the charm of the city. 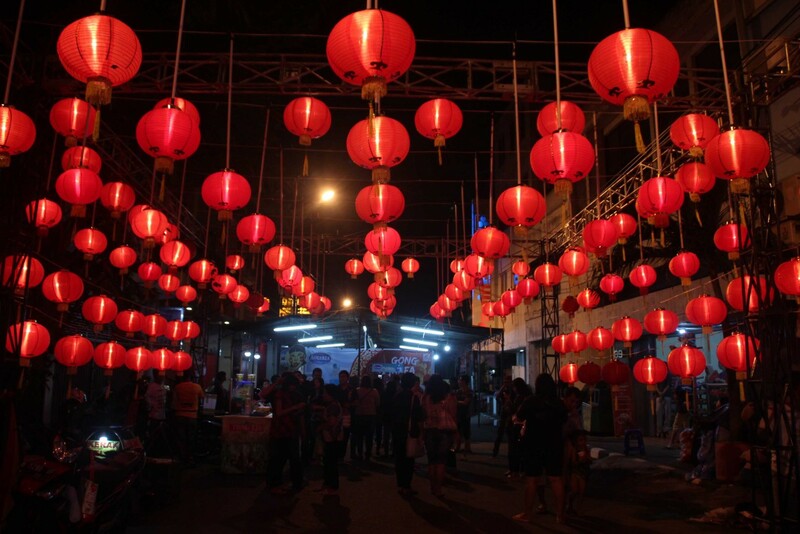 So, what Semarang has got to offer for the Chinese New Year Celebration? Check these out! Obviously, the best place to experience the festive ambience and all of the attractions of a Chinese New year is in the Chinatown. The Kranggan area, right at the heart of the city, is Semarang's Chinatown. It is highlighted by a number of shrines, Chinese pharmacies, fortune tellers, and unique Chinese food stalls. Here you can also find 11 major temples, or 'Klenteng' as they call it here, including the beautiful Tay Kak Sie, which is regarded as the oldest temple in the city, and Hwie Wie Kiong, which is the largest temple in Semarang. During the Chinese New Year celebration, the area will come alive with oriental decorations and ornaments, Chinese traditional music and popping firecrackers, acrobatic actions of lion (Barongsai) and dragon (Liong) dances, and a whole lot more. 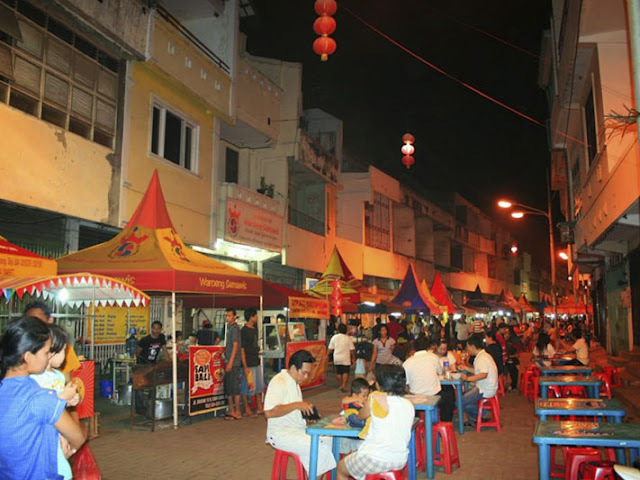 Every weekend, the main street of Gang Warung in the Chinatown turns into a vibrant culinary center known as Pasar Semawis or Semawis Market, which opens from 05.00 pm to 11.00 pm. 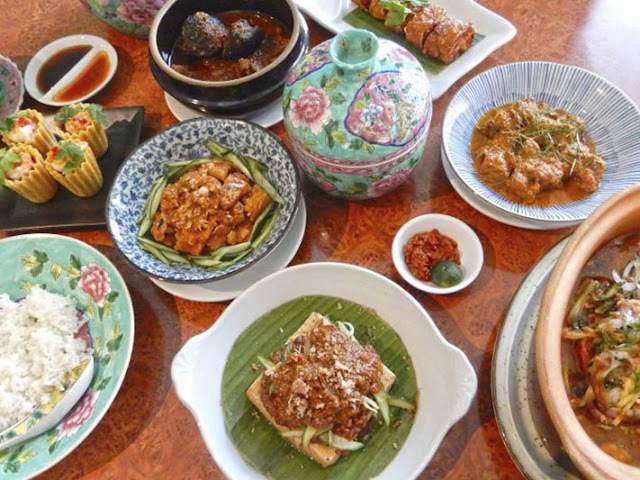 This is the best place to hunt for the best Javanese-Chinese culinary delights such as bakcang, spring rolls, various kinds of porridges, pork satay, fried rice, soup, seafood, Javanese noodles, various snacks, and a whole lot more. Every year, nearing the Chinese New Year, this night market radiates that red and gold Imlek hype and becomes the center of shopping for Imlek-related stuffs. A special bazaar offering foods, decorations, fashion, and all sort of knick knacks needed for the celebration is always held alongside various art performances such as the unique Chinese-Javanese fusion puppet show Wayang Potehi, the martial art of wushu, traditional children games, and more. So if you want to take a bite of the popular Semarang snack loempia or spring roll, or if you're looking for ingredients for Chinese New Year meal, or simply to immerse in the special Imlek ambience, this is definitely the place to be. The history of the Chinese predecessors in Semarang begins with the great expedition of Admiral Zheng He (also known Cheng Ho). Said to have lead voyages that far surpasses those of Christopher Columbus and Vasco da Gama, the great admiral's voyage to Semarang is immortalized in the magnificent temple of Sam Poo Kong, also known as Gedung Batu (the Stone Building). What makes this majestic structure unique is that it does not belong to any specific religion, but rather functions as a place of worship for people of various ethnicities and religions including Buddhists, Taoists and Muslims. The building covers an area of 1,020 square meters and is influenced by both Chinese and Javanese 14th century architectural styles. Located on Jalan Simongan Street, on the western part of Semarang, The Temple will welcome the Chinese New Year with various ornaments and celebration. Celebrating Chinese New Year in Semarang definitely will not be complete without visiting this precious site. To truly be a part of the Chinese New Year celebration in Semarang, you need to join the special gala dinner of 'Tok Panjang'. 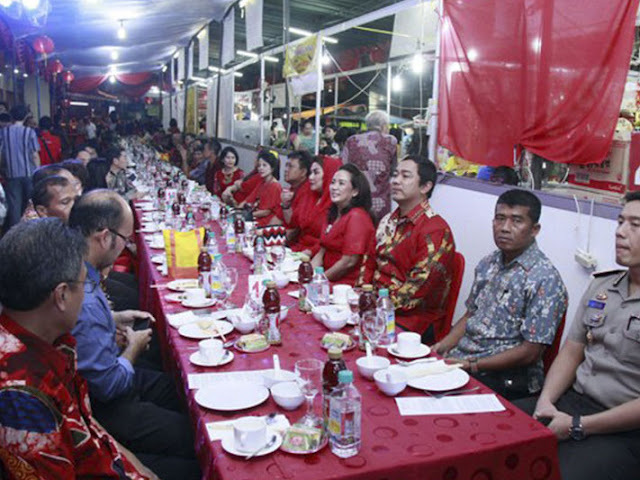 'Tok Panjang' roughly translated as long table and traditionally it is when all members of the extensive family sit down and enjoy special New Year dinner together. However, anyone can take a seat in some of the Tok Panjang tradition held in various places such as at the Semawis Market. Here you can mingle and converse with different people, all in the spirit of Imlek unity. Discover what Imlek means to the people of Semarang, share stories, experiences, and laughters, enjoy some of Semarang's most delicious Imlek Cuisines, and you will truly feel the Chinese New Year traditions in Semarang. 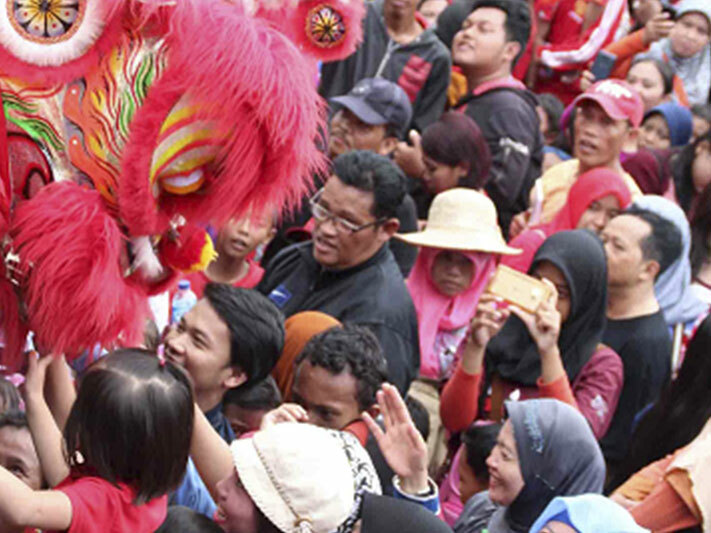 These are just among some of the fascinating thing you can experience during the Chinese New Year in Semarang. So, if you are ready for a truly exciting and unique experience, go find your way to the city. Semarang is waiting for you!